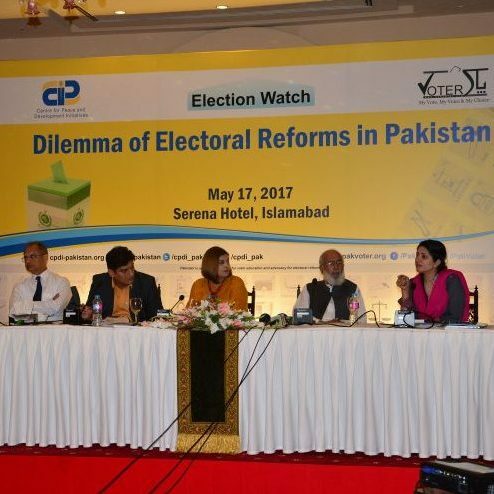 The purpose of the seminar was to provide a forum to the policy makers and key electoral system stakeholders to discuss and deliberate upon the ways and methods to accelerate the electoral reforms process resulting in free, fair, transparent and widely accepted elections by all stakeholders. CPDI held a strategic planning retreat to chalk out course of action for newly established, Pakistan Alliance for Inclusive Elections (PAIE). 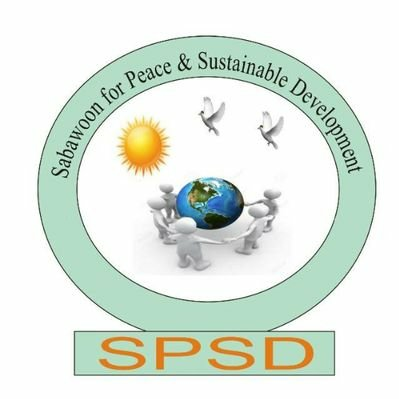 PAIE is a network of Disable Person's Organizations (DPOs), organized by CPDI, coming together to work for including PWD in the electoral processes. CPDI organised coordination meeting of Pakistan Alliance for Inclusive Elections (PAIE) members to discuss work plan and upcoming activities of the network. Like most of the underdeveloped and developing countries, life of persons with disabilities is not very easy, even in Pakistan. Generally, they are looked upon with pity and disgust, felt as a burden on the family and an at-times considered as mean of punishment of the rest of the family members for their sins. At the societal level the same sentiment of pity and sympathy prevails and they face discrimination in every walk of life. Full and active participation of persons with disabilities in the electoral processes is one of the key areas where PAI aims to embark upon, as it is is clearly evident by the fact that there is not a single person with disability in the community of parliamentarians. This is clearly evident by the fact that there is not a single person with disability in the community of parliamentarians. In addition, PWDs as voters also face numerous problems to cast their votes and bepart of electoral processes in pre and post-election times. There has always been a lack of will to include persons with disabilities; a recent example of this is government’s refusal to include PWDs in the national census. The estimates of number of persons with disabilities in Pakistan also vary from 2% to 15% of the population depending on whether they are based on government reports or other independent agencies. The last census held in 1998 counted PWDs at only 2.54% but the international prevalence rate of PWDs according to World Report on Disability published in 2011by World Health Organization is 15%. 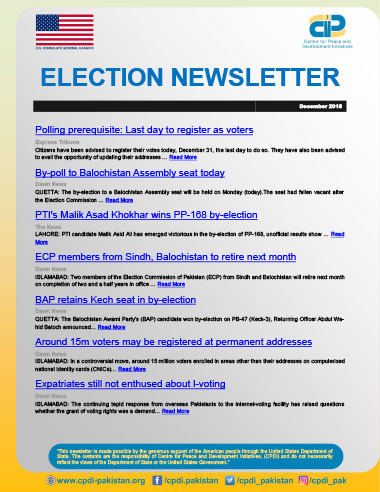 Read our newsletters covering election news from different media sources. 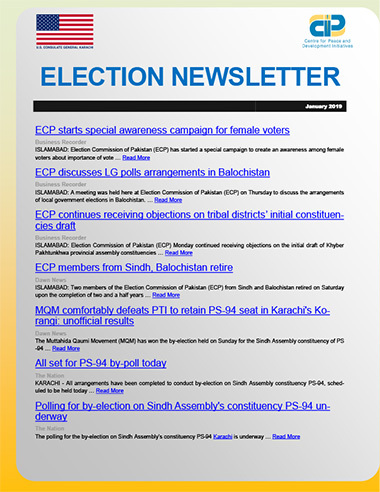 Election Watch Newsletter – Issue No 4. 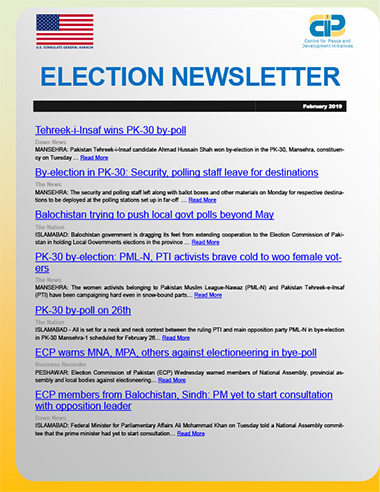 Election Watch Newsletter – Issue No 3. Election Watch Newsletter – Issue No 2. 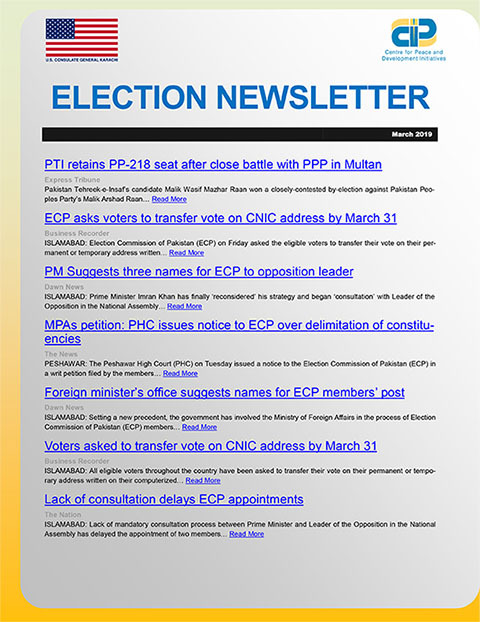 Election Watch Newsletter – Issue No 1.